Minimal responsive personal One Pager for ‘Elisabeth Hass’ featuring clear spacious typography and a neat scheme fade from dark to light as you start scrolling. 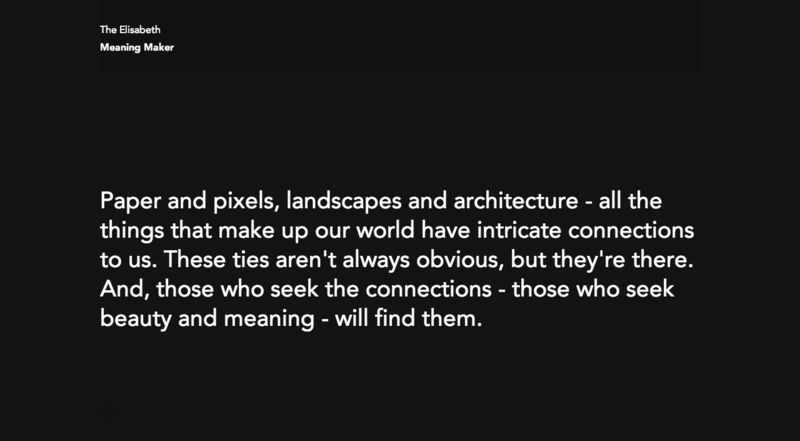 Paper and pixels, landscapes and architecture - all the things that make up our world have intricate connections to us. These ties aren't always obvious, but they're there. And, those who seek the connections - those who seek beauty and meaning - will find them.